Announcing the new revised edition of the classic industry reference! 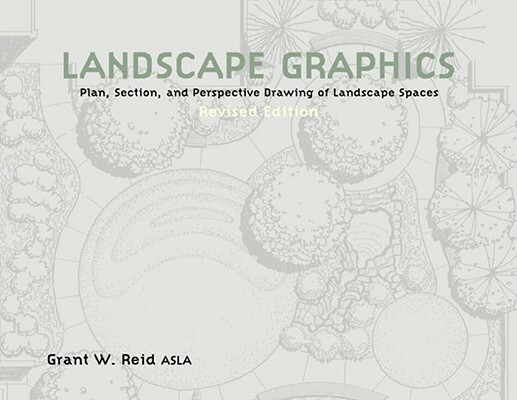 Landscape Graphics is the architect’s ultimate guide to all the basic graphics techniques used in landscape design and landscape architecture. Progressing from the basics into more sophisticated techniques, this guide offers clear instruction on graphic language and the design process, the basics of drafting, lettering, freehand drawing and conceptual diagramming, perspective drawing, section elevations, and more. It also features carefully sequenced exercises, a complete file of graphic symbols for sections and perspectives, and a handy appendix of conversions and equivalents. Grant W. Reid, ASLA, is a professor in the department of horticulture and landscape architecture at Colorado State University. He also operates his own landscape architectural consulting business called Grant Reid Designs. He lives in Colorado.